Vegan Donut Candle...Yes, you read that right & we've got it! We LOVE Big White Yeti Candles and Vegan Donuts! It's no secret that we are pretty obsessed with Vegan Donuts. When we started envisioning an Herbivore Clothing exclusive scent, we talked about all of our favorite things but donuts topped the list. 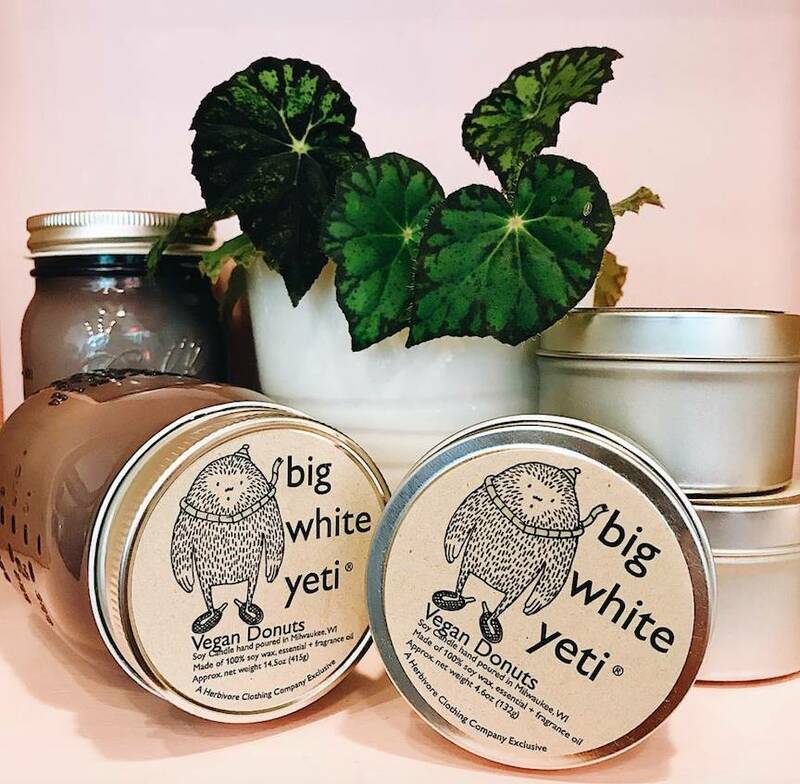 We reached out to our absolute favorite candle makers at Big White Yeti and they made our dreams a reality! Introducing: The Vegan Donuts Candle! An Herbivore Clothing Company exclusive! Smells like freshly baked vegan cinnamon sugar donuts. Literally, what could be better than that?!? Get Your Very Own Vegan Donuts Candle Right Meow!